The “state of the game” is a frequently discussed topic around the Almanac at present. Yesterday Curtis Del Mar shared his insights on the topic, on Friday Dips O’Donnell questioned the philosophical heart of the great game, and last Thursday Fearless found spirituality through the oval-shaped ball (at least when it’s being kicked at the Cattery). 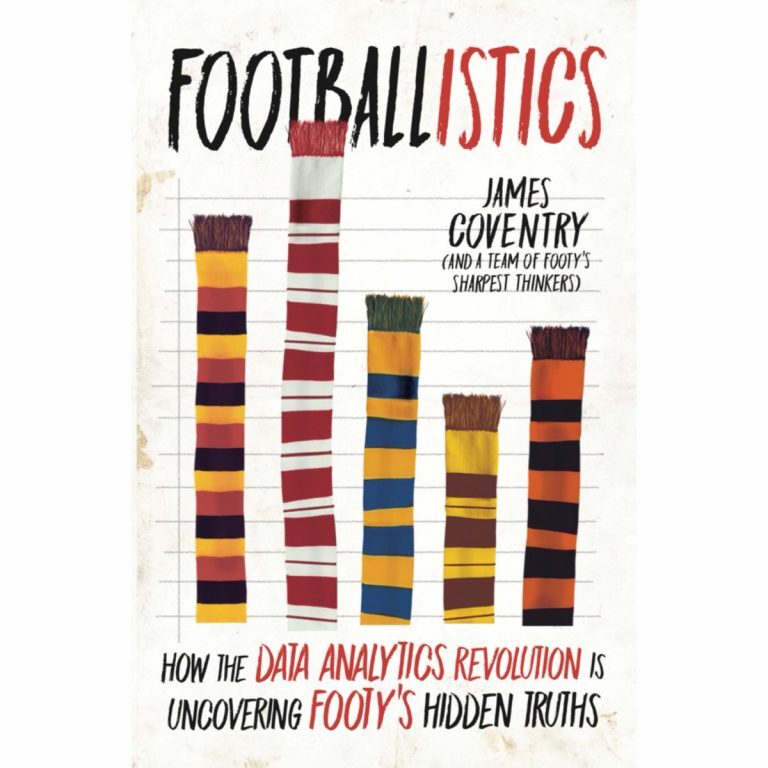 Monday also marked the release date for a much-anticipated new book from ABC Grandstand reporter James Coventry titled Footballistics. Coventry, and his fellow footy thinkers, have used data (a word banned in most Australian pubs) to question some of footy’s oldest truisms. Do umpires really favour the home side? Has goal kicking accuracy deteriorated? Is Geelong the true master of the draft? While adopting a slightly different tack than the Almanackers, Footballistics might help to determine whether the “state of the game” really even is the state of the game. Brin, I’m no stats guru, but I enjoyed Time And Space, and I suspect I’ll find plenty in this one. Grabbed mine today. Very readable and relatable so far. It’s a winner.